Actor and producer Tom Cruise has tested a Red Bull at the Willow Springs racetrack in California. Cruise completed 24 laps during a full day with the Red Bull team, which included former driver David Coulthard as instructor. 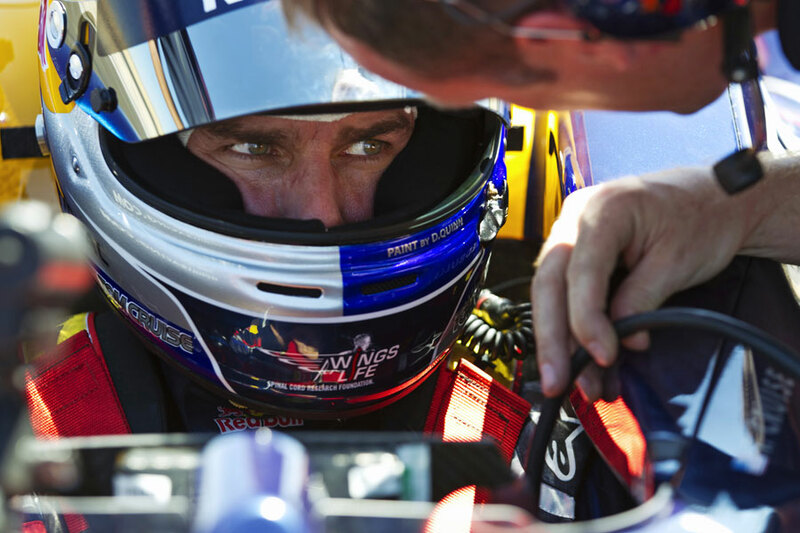 The test was carried out prior to Coulthard undertaking a run in the Red Bull show car at the Circuit of the Americas in Austin, Texas last week. After Coulthard had taken Cruise around the circuit in a passenger car, he set his own lap in the F1 car reaching a top speed of 185mph. By the end of the day, having reviewed telemetry throughout the test, Cruise had improved his best time by 11 seconds and recorded a top speed just 4mph off Coulthard's best, an effort which impressed the BBC commentator. "Tom's the real deal," Coulthard told RedBull.com. "I was surprised that he picked it up so quickly and is such an accomplished driver. His recall was incredible considering how complicated driving an F1 car is. He's a guy who really pushes the envelope in real life. This day was not green screened. He thoroughly impressed me."